1. Combine all ingredients in a medium bowl, except for the diced avocados. Stir in the diced avocados last. 2. 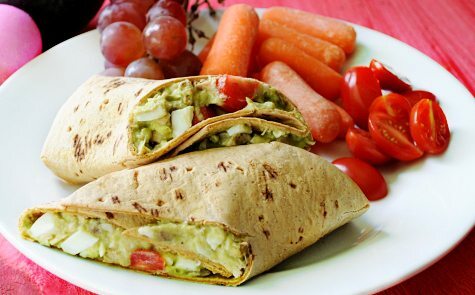 Spoon 1/2 cup of egg salad mixture to 1 large whole grain tortilla. Roll and enjoy!